In the case of Dragon Age 2, Hawke’s life is reversed when the Darkspawn attack Lothering. Using in medias res, BioWare skip past the “dull” majority of the first act and get straight to the reversal, when the action starts. And most games abide by the same technique; to skip all the potentially-boring stuff at the beginning and get right into the blood and guts and fireballs and machine guns. But in games, your connection to the protagonist is arguably more important than in any other medium. If I don’t care about my avatar, then how can I care about any thing that happens to him; anything that happens to me? Why should I care about the things he cares about? Even though Dragon Age 2 begins in medias res, the game immediately plunges the character — and by extension, the player — into new territory. 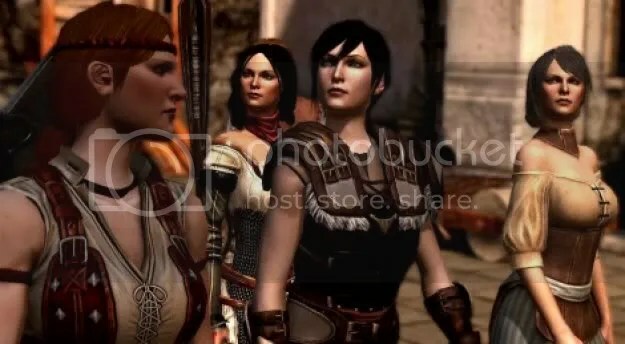 Both Hawke and the player are foreigners to the city of Kirkwall; the player meets most of the game’s supporting cast at the same time as Hawke. Hawke’s past is largely inconsequential; as long as the character and the player are sharing new experiences, then the dissonance between narrative and gameplay is minimized. This technique in games storytelling isn’t anything new; it’s why games have such a long history of amnesiac protagonists; it’s why Gordon Freeman spent several years in isolated stasis before Half-Life 2; it’s why Marcus Fenix woke up in a jail cell; it’s why the RPG hero always comes from a sleepy town in the middle of nowhere, and why Link is usually a child. By putting the player and the avatar on equal ground, the player can more easily empathize with that character. Of course, with such a well-worn and oft-used tool, some are bound to misuse it. Misuse of in medias res is how we get the girlfriend-whom-everyone-hates in inFamous or the nonchalant bombardment of jargon in Mass Effect. Of course, lazy use of in medias res is how we get all those aforementioned amnesiacs. And the result of poor use of in medias res is a story that we simply don’t care about. This was the big problem for me with Fable 3, as opposed to the first two. In both Fable and Fable 2, you start the game as a kid, with no real history or relationships to speak of. In both games you get to experience a brief time living your happy little life with your family, before events beyond your control rip the life out from under you. 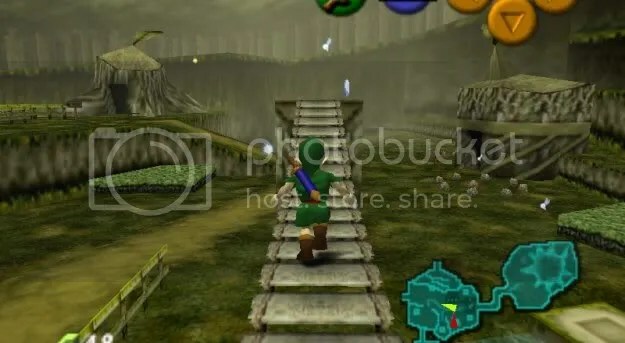 Because you’re a kid, because your family are the only relationships you have, because everything is still new and your little village is all you’ve known, the connection between player and avatar feels more real. 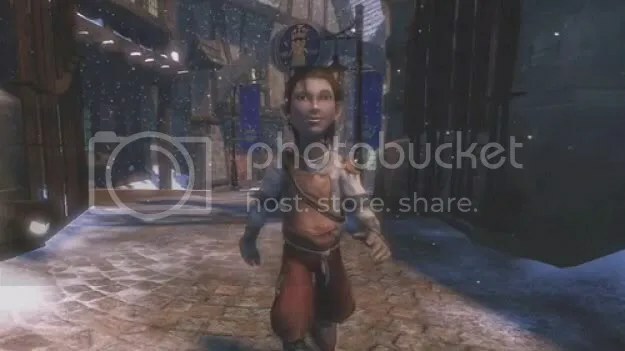 In Fable 3, you start the game as an adult — an adult who’s had a long history of relationships with various other characters, a good chunk of life that’s been both lived and remembered (at least, by him). Your brother betrays you and you have to set out to gather a resistance in order to end his reign. The problem is that the game never bothers to let you in on what act 1 was. Logan forces you, as the avatar, to choose between the life of your young significant other or the lives of some peasant protesters. The problem is that I, the player, don’t know either of these people. The Prince has known this girl his whole life, but I only just met her a few seconds ago. The feeling of the choice is deflated (actually, it was never inflated to begin with). I’m not thinking about what a hard choice it is to make between my love and my people. All I’m thinking about is how this decision, mechanically, will effect my game later on. 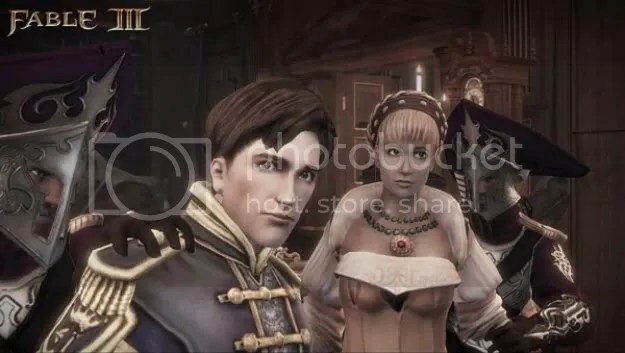 It’s easy for me to pick on Fable 3 because of the impact that game had on me (both positive and negative) but, the truth is, the whole amnesia thing isn’t any better. Sure, striking away the memory of the character’s avatar avoids that pesky issue of narrative dissonance, but let’s be honest: the amnesia thing is both tacky and lazy. I’m not convinced that we need to rely on in medias res. I think Red Dead Redemption proved, to some extent, that you can tell a full story — even the so-called “boring” parts — and make the experience compelling. And sure, RDR’s second act in Mexico was a bit of a drag, but that’s a separate issue with that arc of RDR’s story, specifically. 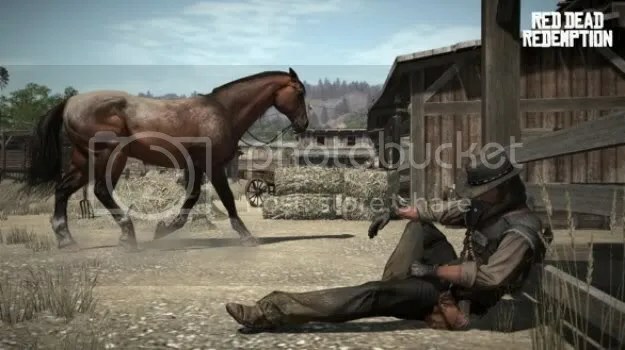 RDR’s slower moments, especially in the third act, served to emphasize its action and dramatic twists. But the problem is that in medias res storytelling is used as a crutch. It’s arguably necessary, as we need to experience the world simultaneously with the character in order to draw an emotional connection, but instead of striking us with a psychological disorder or making us a fish out of water, why not just let us experience your story’s first act? With so many games emphasizing exploration, give us time to explore before thrusting us into combat. Maybe I don’t care about Hawke’s friends and neighbors in Lothering, but I will care about Hawke — about myself — when the Darkspawn attack and completely disrupt my world; maybe I don’t care about Link’s Kokiri friends, but I do care when my casual, fun antics give way to the burden of saving the world; maybe I don’t care about getting revenge on Strelok, but I do care when a world where I thought all conflict revolved around hunting simple bandits broadens into a war zone, and I care when exploring that war zone leads me to discover the horrors buried underneath. In a 10 to 30-hour game, you can throw me an hour to set things up; you can throw me a first act and establish expectations, only to knock them down later. If you make me care about the world before turning it upside-down and reversing everything I thought I knew, then my investment in the narrative will follow. Seeing new places, meeting new faces, developing relationships and finding my place — all of that can come just a little bit later.